WASHINGTON — Northrop Grumman executives said Jan. 31 that the integration of the former Orbital ATK into the company is largely going according to plan but warned there could be financial impacts to the company if there is another government shutdown. Northrop Grumman reported sales of $30 billion for the full year of 2018, up from $26 billion in 2017. The company had an operating income for 2018 of $3.78 billion, compared to $3.22 billion in 2017. The 2018 figures included, for the first time, revenue and profits from Orbital ATK, whose acquisition by Northrop Grumman closed in June 2018 and now operates as the Innovation Systems (IS) division of Northrop. That division reported sales of $3.28 billion in 2018 and an operating income of $343 million for the year. When Northrop Grumman announced its plan to acquire Orbital ATK in September 2017, it justified the deal in part because of various synergies, including enhanced revenue and cost savings. In particular, Northrop estimated it would achieve $150 million in cost savings by 2020 by combining corporate infrastructure. “I’m very pleased to report that, as we continue to successfully integrate IS, we are on target for cost and operational synergies and trending favorably on revenue synergies,” said Kathy Warden, president and chief executive of Northrop Grumman, in an earnings call with analysts. Northrop Grumman said little in its earnings release or subsequent call about the company’s space programs, either in the new Innovation Systems division or the existing Aerospace Systems division. 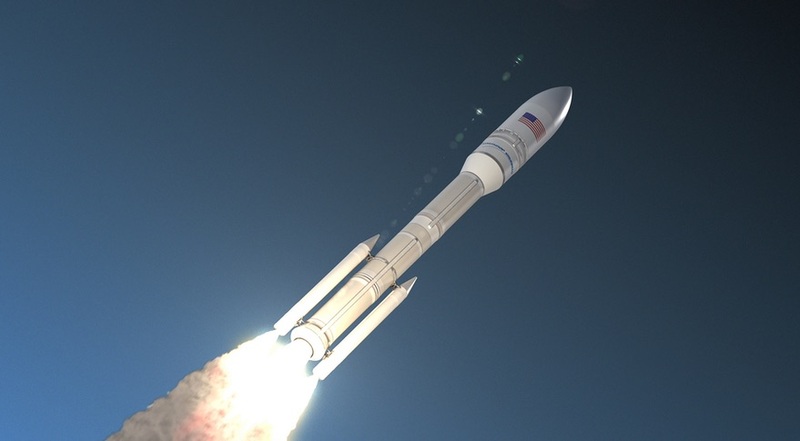 Warden mentioned in her remarks in the call the company’s work on the launch abort motor for the Orion spacecraft as well as the Launch Service Agreement award from the Air Force last October for the company’s proposed OmegA rocket. Warden, in the earnings call, mentioned the five-week partial government shutdown that ended late Jan. 25. That shutdown did not affect the company’s business with the Defense Department, which has a full-year appropriations bill in place, but did affect the company’s work with NASA and other agencies idled by the shutdown. “While we have not yet seen a significant financial impact, this could change if there is another shutdown or long-term continuing resolution,” she said of the shutdown. The company’s biggest single NASA program is the James Webb Space Telescope, the astrophysics flagship mission that has suffered major delays and cost increases. Work on the mission continued, at least in part, during the shutdown. Ken Sembach, director of the Space Telescope Science Institute, said at a conference in early January that testing of the telescope was continuing at Northrop Grumman during the shutdown. Despite the program’s size and its history, Northrop Grumman did not mention it in its earnings call and analysts did not ask company executives about it. A company spokesperson did not immediately respond to a request for comment after the call about the effect, if any, the shutdown had on its JWST work.